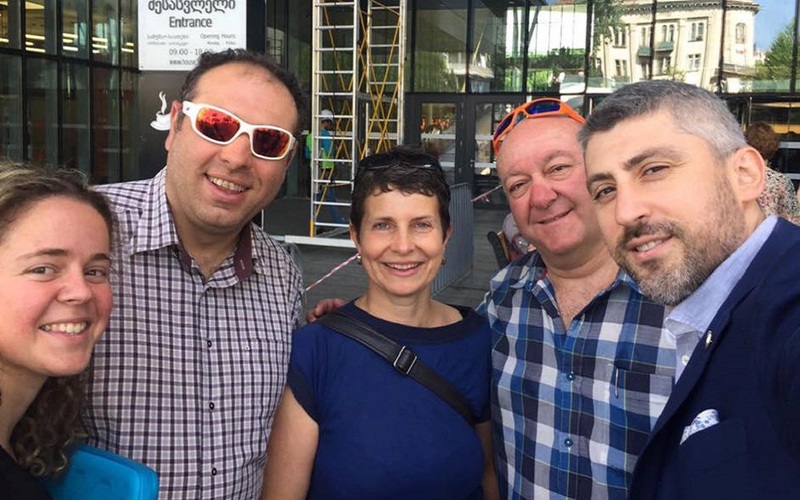 „When we started this project, people thought, we were crazy.“ Nikoloz Alavidze is one of three initiators of the project “AltiHut 3.14“. 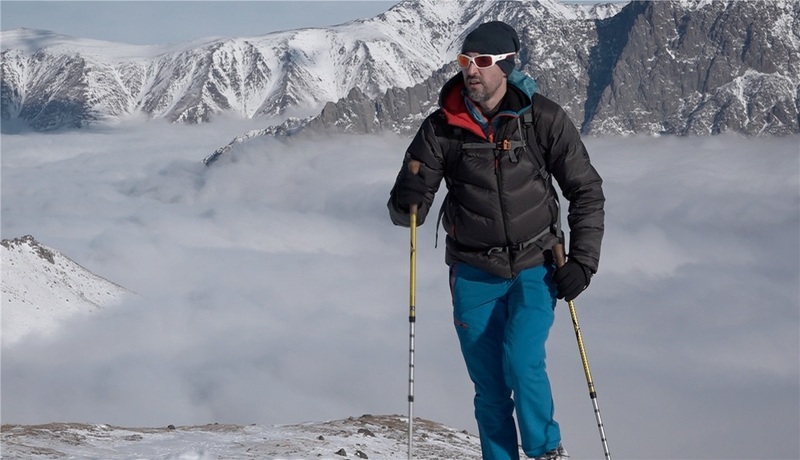 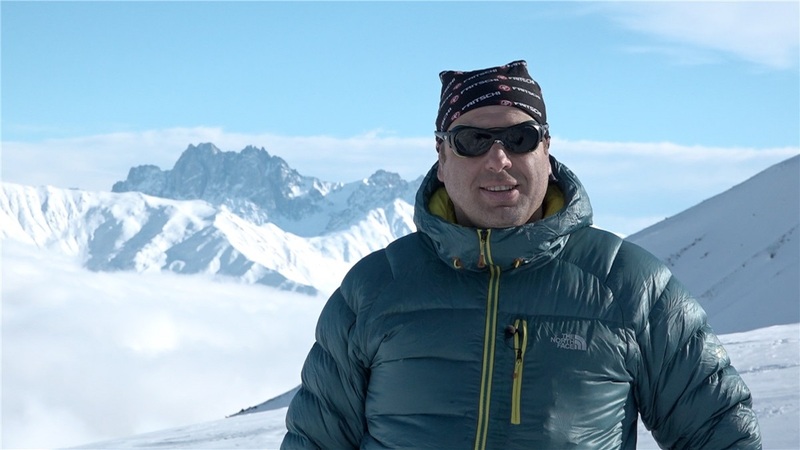 He and his partner David Chichinadze hiked up to an elevation of around 3000 meters this morning. 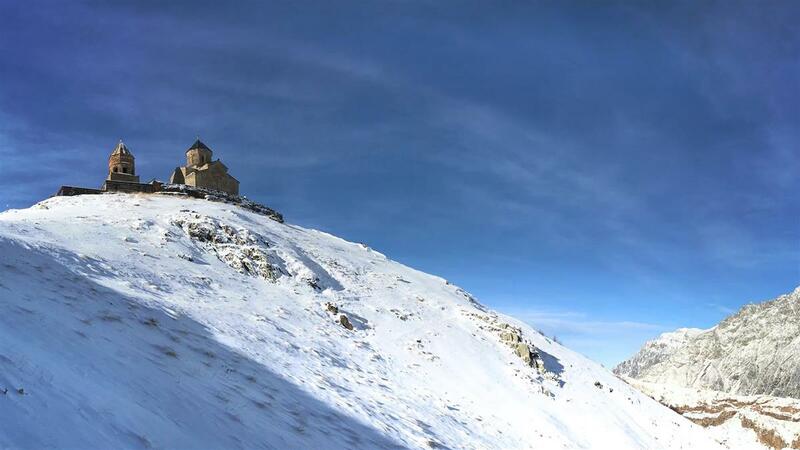 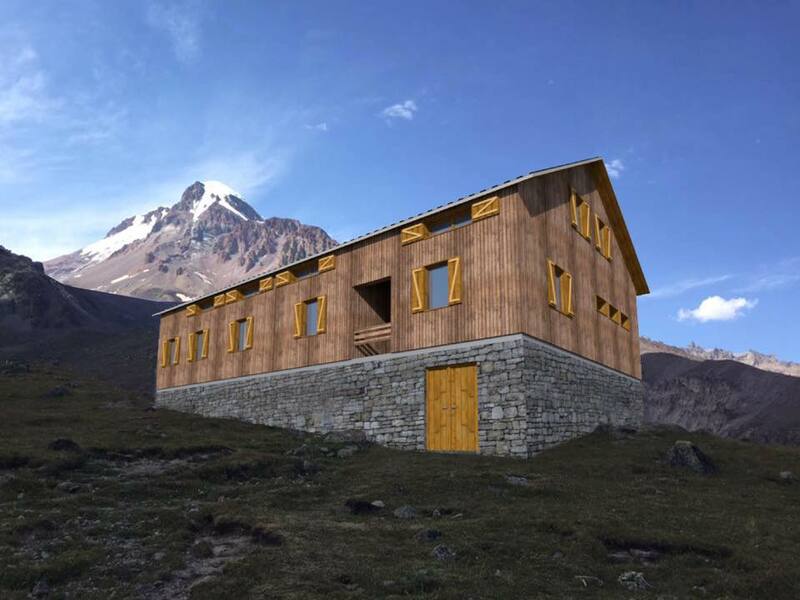 At this location, with a view of the summit of Mount Kazbegi, the two of them and their team want to build a new mountain cabin. 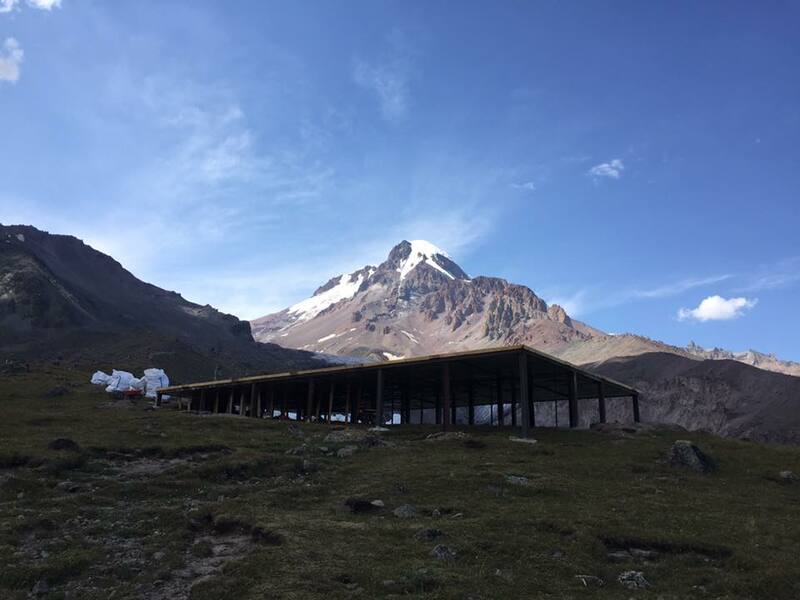 Two small shelters and a platform out of metal and concrete have already been completed this summer – the foundation for the new hut.